People may be a home, office or anything but it is always desired and required to be clean and fresh.After Builders Cleaning Service is the thing to get your job done. 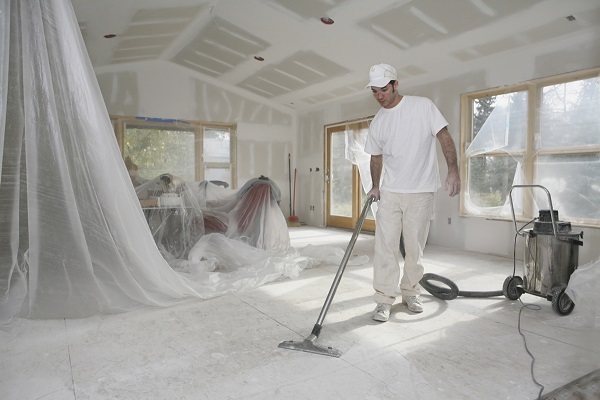 The After Builders Cleaning Service of the A1 House Cleaning in Melbourne will provide extensive cleanup of the doors and the frames of the doors, window frames, sill, radiators, safe light switch, socket, etc. The Service concentrates on three major sections. Kitchens: Quality service is provided through our exceptional tidiness of all the floors, walls and ceilings, which includes the inside and the outside of the food particles storing cupboard where the dirt and dust tend to settle whose effect is highly dangerous. In addition to that, we also look after the cleanup of the electronics in the kitchens such as the cleaning of refrigerator, freezer both inside and out. The money that we have the charge for the services offered like dishwashing and the washing machine cleaning are very cheap despite being done through highly skilled workforce and their quality work. Living Rooms and Bedrooms: Our highly talented and experienced staffs here along with the tidiness of tops and floors they also take care to clean the wardrobes, disinfect a surface, cupboards, tables, including bedroom end tables both inside and outside. All the furniture in the space will remove with the utmost motherly care and high professionalism before the commencement of the cleanup services, and it carries minimum charges. Removal of cobwebs is done in every nook and corner. Bathrooms: Bathrooms as known to all, is the toughest of all when it comes disinfect surfaces of the floor and toilet with more care for you. The cleaning is made best by ensuring careful scrubbing techniques and complete removal of acidic chemicals. In addition to all, we clean and descale the showers, shower doors and the bath tubs as well. All bathroom counters, mirrors and sinks are treated and cleaned well. When our work is done, we leave the whole of your home fresh and clean.